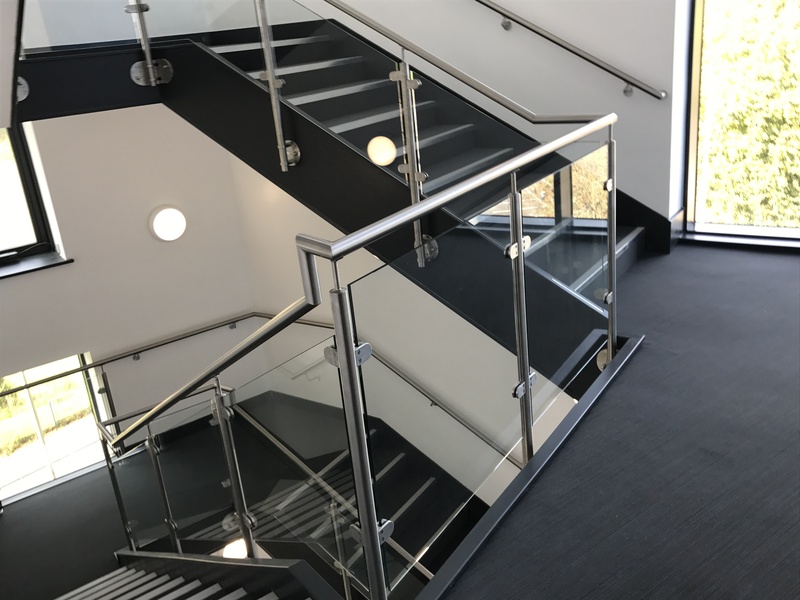 Working with our customer a low maintenance, compliant balustrade & handrail system was required for a feature staircase within a new build student facility in Plymouth. Stainless steel with a satin finish was selected due to its low maintenance properties together with 10mm clear toughened safety glass infill’s to allow the natural light from the windows to flood through the entire staircase & onto the landings. The stainless and glass materials were fixed against the satin painted dark grey stair stringers, with white walls and ceilings to achieve the desired “high end” modernist look required. 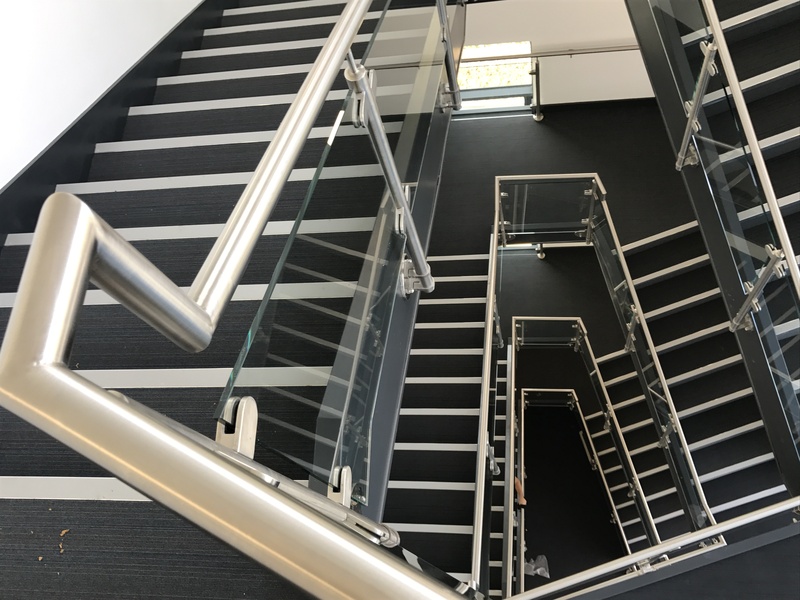 Dimensioned drawings were unavailable meaning that a site measure would be required despite the tight programme prior to handover. A full survey was carried out just as the finishes were being applied as shown in the photos. What a difference a lick of paint, carpet and some polish makes! For more pictures, please see the gallery here.